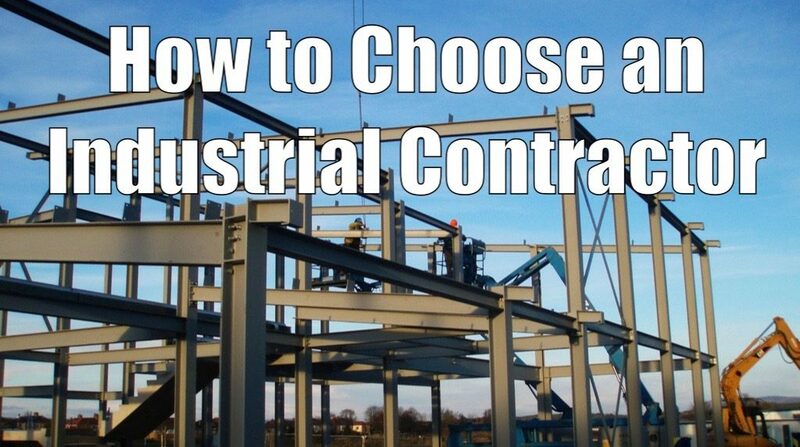 While the qualifiers for choosing a commercial general contractor are similar, making the right choice for an industrial build includes consideration of other elements. This is especially true of the Central Alberta area where the industrial sector includes oil & gas, agriculture, and various manufacturing interests. Not every supposed industrial builder is qualified to manage your project, whichever category it may fall within. As you prepare to move forward with your build take note of the following and let it guide your decision in selecting a contractor that is right for the job. Is the candidate a member of a local Chamber of Commerce? Have they been certified by PICS Auditing Ltd? Are they operating as an industrial builder with all of the required provincial certifications and qualifications in place? Are they certified to undertake an industrial build that may include the handling of hazardous materials? All of these questions can quickly be answered with a link to an online profile or hardcopy documentation. You know your industry and what will be required of your builder. Qualify prospects from the get-go by inquiring about pertinent local accreditations. It is not uncommon to find a new construction company in the area touting itself as an industrial builder but have yet to tackle their first industrial project. Be sure to investigate that you’re not partnering with a start-up that’s looking to cut their teeth in the industrial sector with you. A quick glance at their portfolio will tell you what you need to know. Conversely, you may find a vastly experienced industrial builder, especially with major industrial centres being located in Calgary and Edmonton. But their impressive portfolio doesn’t necessarily impress local municipalities, community stakeholders, and residents of any local Central Alberta town. If the same builders have not actually constructed an industrial building or park in one of the surrounding townships they have no experience in working under the unique nuances of each. They won’t have the same local connections that would serve to make the life of your construction project that much easier. Again, find out if your prospective builder has completed an industrial-level project in Central Alberta before actually securing their services to build in Central Alberta. Taking a peek at an online portfolio or other form of reference material (press kit, etc.) isn’t the same as confirming accolades directly from a satisfied client. Ask your prospective contractor for tangible references, and find out if you can speak to satisfied clients if said clients are comfortable in doing so. At the very least, they will have provided the construction firm with a written testimonial for you to reference. Dig deep when prospecting and you will find a contractor to break ground on your industrial project. Industrial builds for the aforementioned oil & gas, agricultural, and (other) manufacturing sectors are completely unique from that of commercial and municipal construction. In order for your industrial build to be successfully completed on-time and on-budget modern construction technologies need to be made available to you. In Alberta, pre-engineered steel/metal buildings are the key to all-around efficiency. Find out if contractor candidates are expertly versed in pre-engineered steel building construction. Other current methodologies incorporate sustainable methods in industrial building and will be paramount if you hope to earn LEED credits. Find out if your builder understands the LEED certification process in Alberta. Every industrial construction project includes a unique set of variables that only a deep pool of talent can accommodate. You’ll need a firm built with a diverse and specialized skill-set that includes a design consultant, an area superintendent, a professional estimator, a project document controller, a site manager, and an office administrator. Also inquire about the subcontractors that will be brought in to complete a component of your industrial build. When you receive a comprehensive roll-player breakdown your ability to analyze prospective industrial contractors provides a level of confidence you feel comfortable with. Ready to take the next step towards your industrial build in Central Alberta? Contact Apple Building Systems Inc anytime at 403.340.6777.